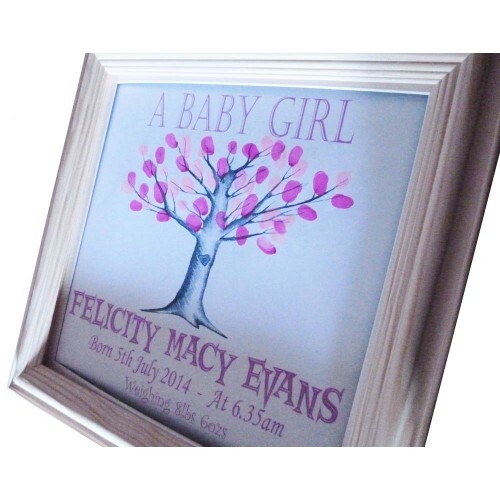 An original Christening gift or a unique way to welcome a new baby, suitable for either as a new baby fingerprint tree or a Christening fingerprint tree, this framed gift can be designed to suit either occasion, people can put their fingerprint onto the printed tree, to create a really personal Christening gift, or a stunning, unique new baby gift. 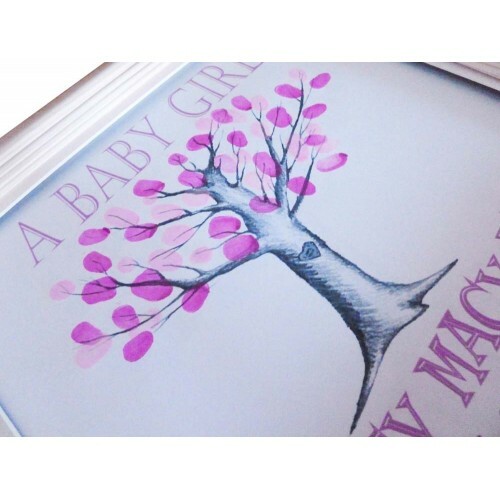 simply ask your guests/visitors to press their finger onto the ink pad and place their print onto the tree to create the effect of leaves on the tree, you can also ask them to sign their name next to the print if you wish to or you can just have the prints, either way looks great and the finished fingerprint tree looks amazing with all the fingerprints in place, these are available in pink/purple option or a blue/green option, perfect to give you a colourful finished keepsake. 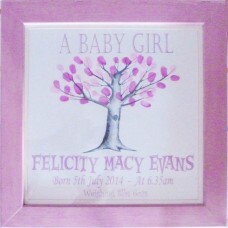 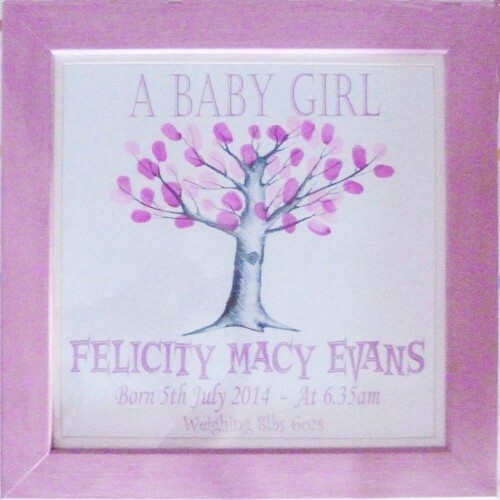 The large, chunky frame makes a great Christening Framed Keepsake to treasure, it has a glass size of 12"x12" (304mmx304mm), creates a lovely, unique guest book for all your friends and family to sign, giving the parents a long lasting, personalised Christening keepsake that they can display, instead of hiding it away in a drawer. 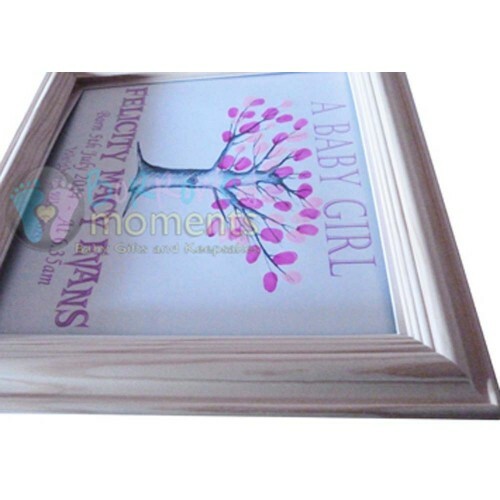 The frame is a large, solid pine wooden frame, choose from a natural pine, or from our gorgeous hand-painted with chalk paint, pink or blue frames, these are painted with a high quality chalk paint for a slightly distressed look and finished with a coat of wax to protect the paint effect, these are a really special and unique addition that are not available on the high street, they are unique to us. 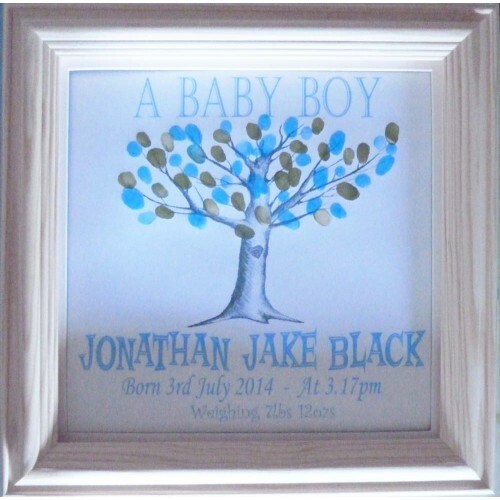 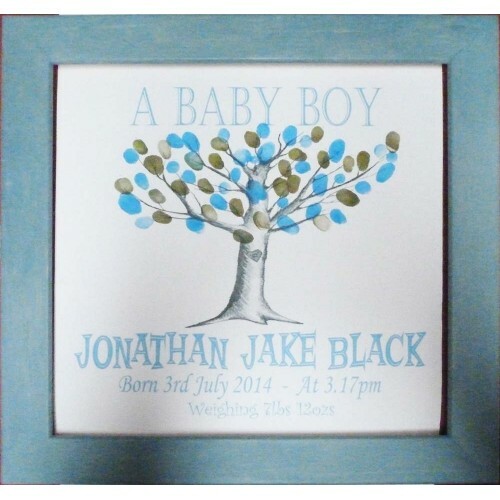 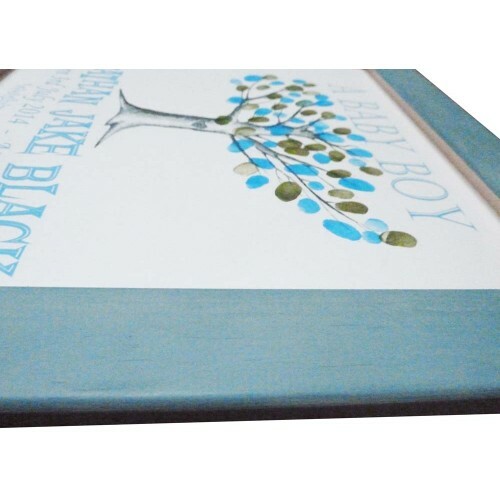 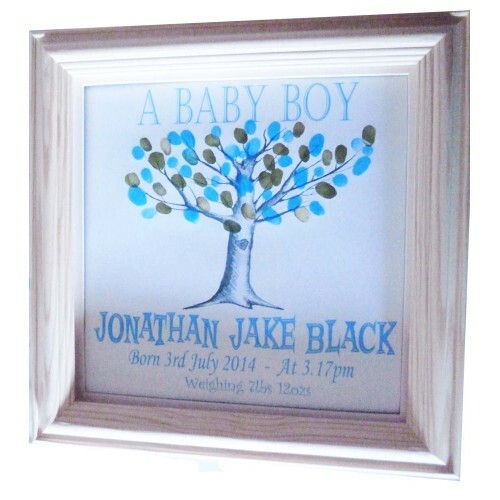 All of the frame choices come complete with a white paper tree backing, for showing up the fingerprints clearly, the christening fingerprint tree frame also includes a choice of ink pad colours, allowing you to create a lovely reminder of the Christening and all who attended in a bright and colourful way, the colours will vary from each piece, but we will include a bright colour and a flatter colour to ensure the best results. 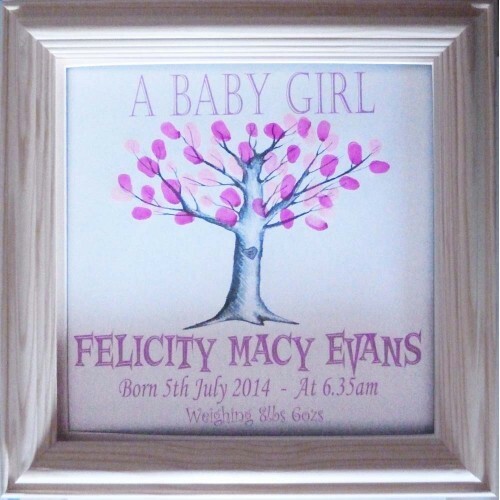 This personalised fingerprint tree for a new baby gift frame is also perfect as a personalised birthday party gift, or a way to capture the names of your guests at any party or gathering, simply ask us to alter the wording and colours if it is for an alternative reason. 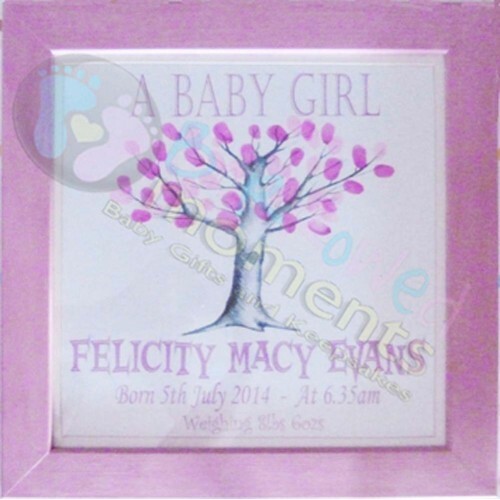 This complete fingerprint Christening frame is perfect as a personalised christening gift to capture a precious memory forever. 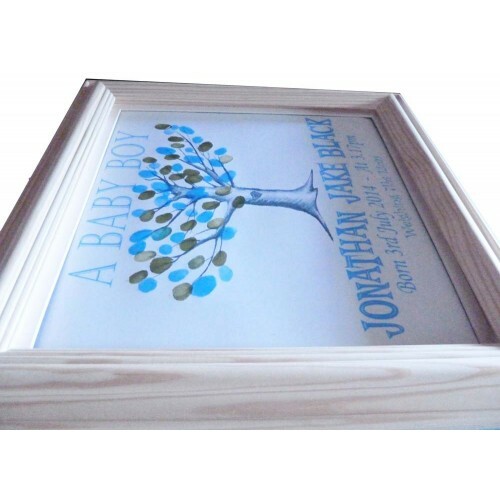 The frame will be fixed together to be sent out safely, but once received, you will need to unscrew the screws (you will need a cross headed screwdriver for this) simply open the frame up to expose the tree for all the guests to make their mark on it, once happy, you will need to screw the screws back together and attach the d-rings and framing cord and hang to enjoy. 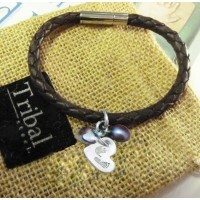 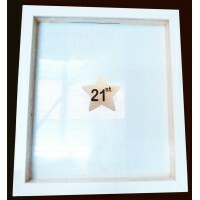 Select if you want this item from a boy or from a girl as this is engraved on the front. 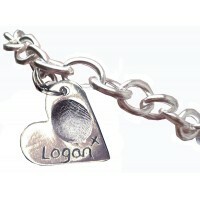 A beautiful fine silver fingerprint charm bracelet, each charm is made from fine silver & the silver..
An original Wedding gift or a unique way to mark a special birthday party etc., people can put their..
A luxury wedding signature frame makes an original wedding gift or a unique way to mark a special an..
Our Luxury deep-rebate, alternative wedding guest book, wedding drop frame is a large 16" x 14" size.. 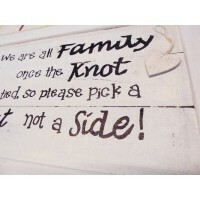 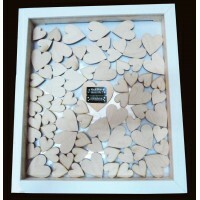 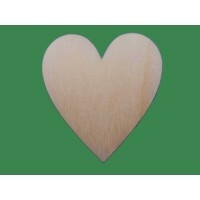 This is a large selection of wooden hearts that can be used with the wedding guest drop frame. 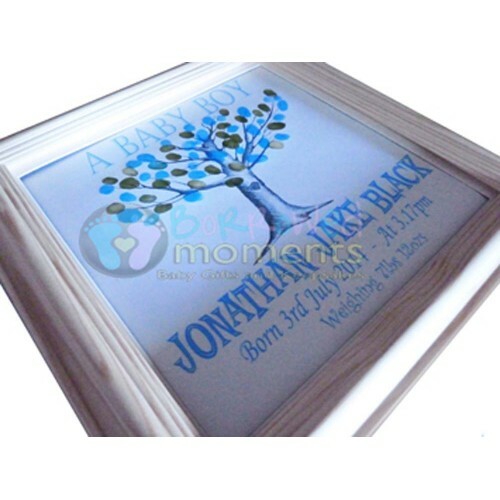 This ..
Our Luxury deep-rebate, Mr & Mrs wedding drop frame, alternative guest book is a large 16" x 14" siz..
Our Drop Top Engraved Heart Wedding Guest Book is a large 16" x 14" size, an original wedding gift o..
Our Luxury deep-rebate, Wooden Stars Guest Book Drop Frame is a large 16" x 14" size, an original gi..
Our Handmade Rustic Wooden Wedding Sign is a large A3 size, an original wedding gift, creating a uni.. 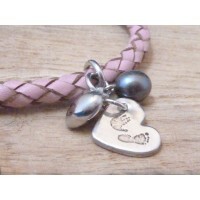 This is a beautiful Fine Silver Handprint Footprint Charm Bracelet, each charm is made from fine sil..